I’m already listening to Christmas music and stuffing party invitations. It may be a tad early, but it snowed in Nashville this week, so why not! It’s my favorite time of year, despite the cold weather. And decorating for Christmas is at the top of my list. 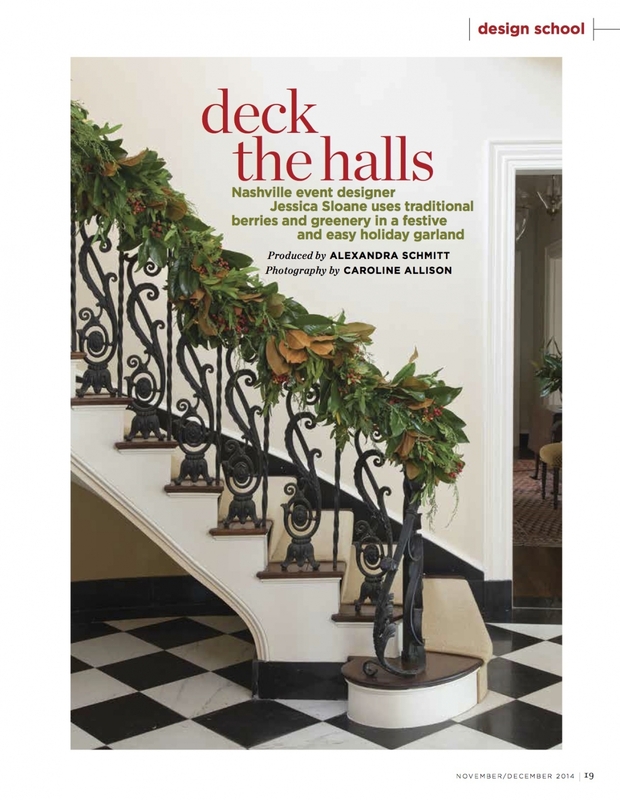 So you can imagine how excited (and nervous) I was when the well-known Flower Mag asked me to be a part of their Design School for this year’s holiday issue. This part of the magazine has historically featured designers that I really admire and respect, like Joy Thigpen and Amy Merrick. 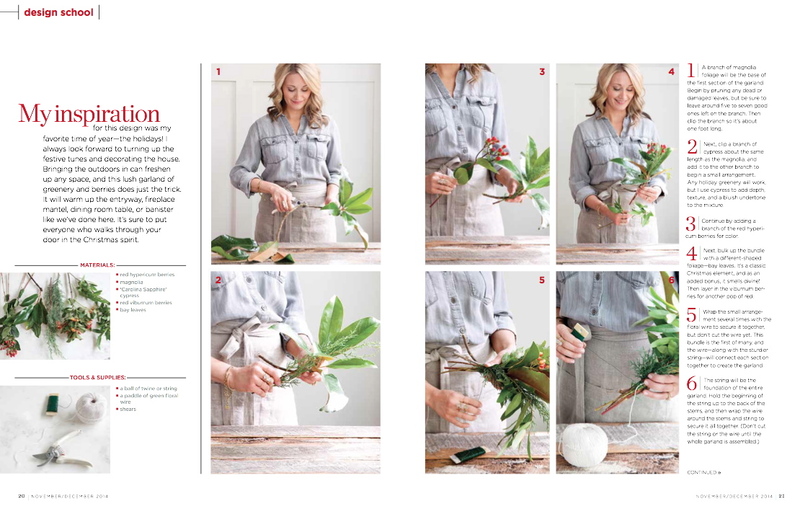 So here I am with the garland I made for the magazine and instructions on how to make your own this holiday season!